Billie Jean King of New York, NY, (formerly of Chicago, Ill.) and Jon Vegosen of Chicago, Ill., will be inducted into the 2013 USTA/Midwest Section Hall of Fame on December 6 in Chicago, Ill. The 2013 USTA/Midwest Section Hall of Fame induction ceremony will take place at the Chicago Renaissance in downtown Chicago during the USTA/Midwest Section’s 120th Annual Meeting. 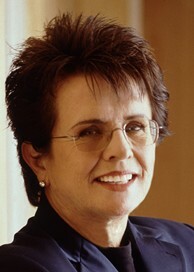 As one of the most celebrated tennis players in history, and one of the 20th century's most respected women, Billie Jean King has dedicated her life to breaking barriers both on and off the tennis court. In 2009, she became the first female athlete to be awarded the Presidential Medal of Freedom, our nation’s highest civilian honor. During King's impressive tennis career, she won 39 Grand Slam titles (12 singles, 16 doubles, and 11 mixed doubles), including a record 20 titles at Wimbledon. King founded the Women’s Tennis Association (WTA) in 1973, Women's Sports Foundation in 1974, and Women's Sports Magazine in 1974. She co-founded World TeamTennis in 1974, the groundbreaking co-ed professional tennis league. King was a U.S. Wightman Cup Team Member for ten years and posted a 21-5 record. She was also a Federation Cup Team Member for nine years and posted a 52-4 record. She served as captain of the United States Fed Cup team in the 1990s. For more than 20 years, King dominated the world of tennis. In 1973, King defeated Bobby Riggs in the most talked-about tennis match in history. The "Battle of the Sexes" was a turning point for women in athletics, proving that skill is not dependent upon gender. King's efforts turned women's tennis into a major professional sport. Concerned with the disparity between men's and women's prizes at major tournaments, King spearheaded the drive for equal prize money. As an athlete, King achieved a number of "firsts". In 1971, she became the first female athlete in any sport to earn more than $100,000 in a single season, and in 1974, she became the first woman to coach a co-ed team in professional sports, the Philadelphia Freedoms. In 1984, King became the first woman commissioner in professional sports history. In honor of her contributions to tennis, sports and society, the National Tennis Center was renamed the USTA Billie Jean King National Tennis Center in 2006. King was inducted into the International Women's Sports Hall of Fame 1980, International Tennis Hall of Fame 1987, and National Women's Hall of Fame 1990. At the USTA level, Vegosen currently serves on the USTA Board of Directors and is Chairman of the USTA Major Construction Oversight Committee and the Past Presidents Committee. In addition, he is Vice President of the International Tennis Federation (ITF), chairs the ITF’s Joint Media Commission, and is a member of the ITF Finance Committee. He also serves as a member of the USTA Serves and International Tennis Hall of Fame Board of Directors. 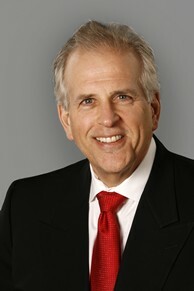 Vegosen served as the USTA Chairman of the Board and President in 2011 and 2012. During Vegosen’s Presidency, the USTA carried out the largest youth tennis initiative – 10 and Under Tennis – in its history to encourage more youngsters to take up the game. Vegosen also oversaw two of the most successful US Opens in history and the unveiling of a strategic vision conceived by his predecessor to refurbish the grounds of the USTA Billie Jean King National Tennis Center to allow for growth for years to come. Vegosen views tennis as "The Sport of Opportunity." During his administration, his vision was that the USTA promote and develop the growth of tennis, but also devote itself to promoting and developing the growth of people through tennis – through education and mentoring, by embracing diversity and inclusion, and by making the sport affordable and accessible for all. A forceful advocate for tennis, Vegosen has spoken and written on behalf of the USTA to curb the dropping of varsity college tennis programs. At the USTA/Midwest Section level, Vegosen served on the Junior Competition Committee, the Bylaws Committee, and as a Delegate at Large. He served as USTA/Midwest Section Vice President and Midwest Youth Tennis & Education Foundation (MYTEF) Vice President in 2006. Vegosen has played a significant role in raising funds for the USTA/Midwest Hall of Fame Charity Gala Auction to benefit MYTEF and the youth it serves. He served as Co-Chair or Honorary Chair of the Charity Benefit Gala Committee for several years. Vegosen began volunteering locally with the Chicago District Tennis Association (CDTA) in the mid 1990’s. He served on its Board of Directors for over a decade, including a term as CDTA President. He also served on the Chicago Tennis Patrons Board of Directors. Vegosen is a Director for Life of JCYS, a not-for-profit social service agency based in Chicago. In honor of one of his mentors, Max Davidson, Vegosen conceived and oversaw the creation of two tennis centers that feature tennis programing for underserved youth and individuals with disabilities. Vegosen and his wife Shari, along with their two sons, were honored as the USTA Ralph Westcott Family of the Year in 2004 and USTA/Midwest Section Family of the Year in 2004. In 2012, Vegosen was inducted into the Northwestern University Athletics Hall of Fame and the Intercollegiate Tennis Association (ITA) Hall of Fame. He received the USTA/Midwest Section Stanley Malless Award in 2003 and Chicago District Tennis Association Volunteer of the Year Award in 2002. Vegosen was captain of the Northwestern University tennis team in 1972 and 1973 and was selected to the All-Big Ten Conference Team in 1973. "Billie Jean King’s groundbreaking achievements both on and off the tennis court spearheaded the women's movement in tennis, and Jon Vegosen's success and accomplishments as a volunteer and tennis advocate from the local level to the USTA national level make them excellent additions to the USTA/Midwest Section Hall of Fame," stated USTA/Midwest Section Hall of Fame Chairman Ronald Brooks. The USTA/Midwest Section Hall of Fame was established in 1984. It was relocated to the USTA/Midwest Section headquarters office in Indianapolis in 2006 after residing at the Markin Racquet Center on the campus of Kalamazoo College in Kalamazoo, Mich. With the 2013 inductee class, the Midwest Hall of Fame is comprised of 70 distinguished individuals.